Don’t let the name fool you…this frosty treat has nothing to do with Beantown. It is a Michigan creation through and through– specifically from Detroit. “Boston” refers to Boston Boulevard, the street near where James Vernor (inventor of Vernors) operated a pharmacy and soda fountain. While a Boston Cooler only requires two ingredients, it is very important that you choose those ingredients wisely and make no substitutions. In order to properly enjoy an authentic Boston Cooler you MUST use Vernors Ginger Ale, a Michigan-made favorite that has been known to cure all ailments in the land shaped like a mitten. Secondly, I highly recommend using Hudsonville ice cream, also made in Michigan. 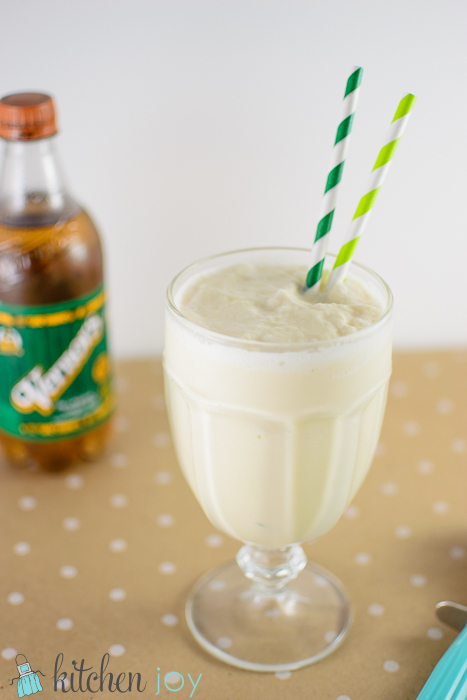 If you’ve never had the opportunity to try Vernors before, keep your eye out for it. It is pretty much the greatest thing ever, and blended with vanilla ice cream? Amazing. Refreshing and creamy, and incredibly easy to make. You’ll want to keep the ingredients on hand all summer. 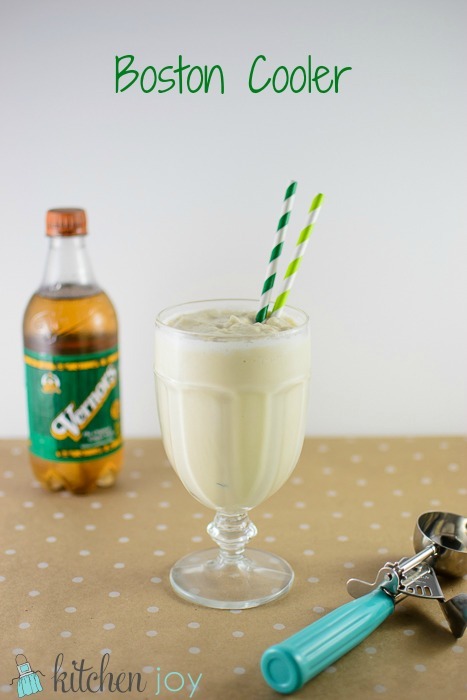 Here’s an article about Vernors from Huffington Post. 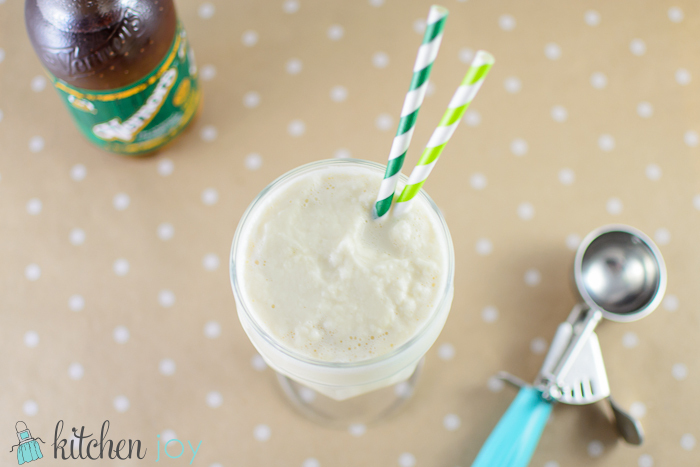 Add ice cream and ginger ale to the container of a blender. Blend until smooth. Enjoy! Note: For best results, do not substitute another brand of ginger ale in place of the Vernors.